I often see “Top 5”, “Top 10” lists or even “Top 100” lists of items that preppers should have as part of their preparations or bug-out bag. Honestly, I could put together a Top 1000 list and you still probably would be missing stuff you need. This short list is meant to be a reminder that SHTF, TEOTWAWKI, “The Collapse”, whatever you wanna call it, is gonna be hard, to say the least. Here are a few things that I want to urge you to put toward the top of whatever needs list you may have that will make life easier. 1. Leather boots. I’m talking a good, stiff, thick soled pair of leather work boots or mountaineering/backpacking boots. Not the super comfortable ‘light hiker’ boots which I love so very much that don’t require any break in time or effort. I’m talking about “Pioneer” quality leather boots that you could walk 1,300 miles across the plains of the US in, twice. The kind of boots that you could easily replace the laces with paracord when they wear out. The kind of boots that you could use to dig graves with all day long for weeks on end. Because you’ll have to. When you find a boot that you love and that works for you, buy a few extra pair. The boots that I prefer are made by Vasque. I’ve worn these since I was a teenager just getting into climbing, backpacking, hiking and mountaineering. Take as much time as you need to try on different boots of all different brands and find just the right boot for you. I can’t over emphasize how important this is! 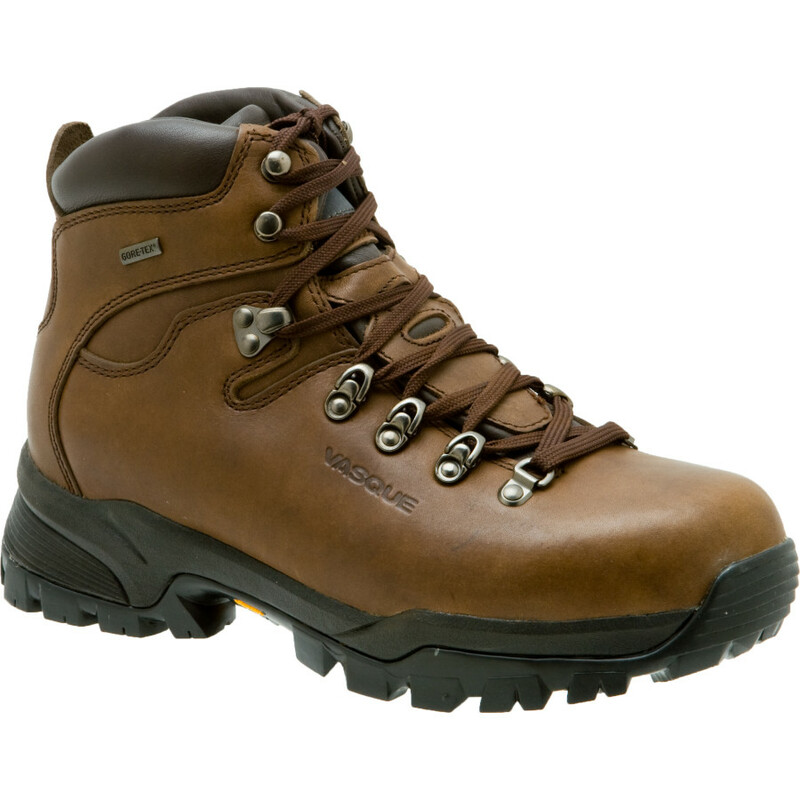 There is also a place and a need for the ‘light hiker’ or ‘tactical’ boot as well. My preferred brand for this kind of boot is Solomon. 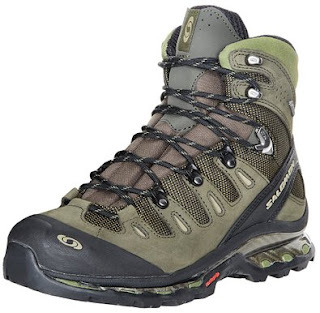 This is the boot that I wear for most of my hiking and adventures. This boot is not nearly as durable but it is easier to move around in as it is more flexible and comfortable. It doesn’t require any time to break it in and keeps my feet relatively cool. 2. Lithium watch batteries. If you’re like me, you have to keep track of time. This won’t be any different in SHTF and will probably be even more critical at times. If you can afford it, buy a quality automatic watch. A mechanical automatic watch, not the solar or ‘kinetic’ watches that have sensitive electronic parts. 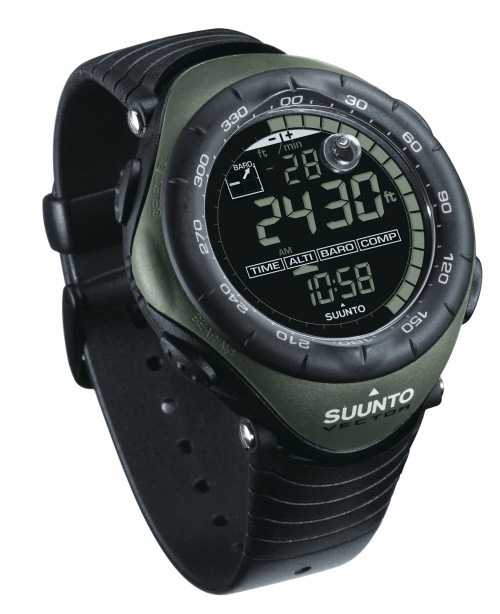 If not then buy a quality, durable, shock resistant lithium battery powered watch and stock up on batteries for it. Lithium batteries keep their charge for decades and are relatively inexpensive. Suunto is the watch brand that I prefer. I have banged them up while caving and every other activity under the sun. 3. Socks. Just like Lieutenant Dan told Forrest Gump; the same rules apply in SHTF. Take care of your feet… and don’t get killed. When you can no longer buy socks you’ll realize that you can never have enough of them. It is my daily practice to wear the best quality ‘hiking’ or ‘work’ socks available. Yes they are expensive but when a long grueling day happens and you are still on your feet you’ll understand why I wear them. My personal favorite sock brand is Lorpen for the quality and the cost, although there are many other excellent quality brands. 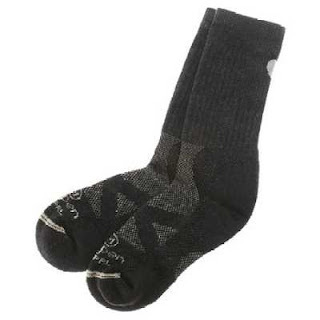 Just like your boots, find the brand and sock, whether merino wool, or other synthetic fabric and buy a bunch of them. None of those sissy cotton ankle socks for me. 4. Work gloves. Again, if you’re like me, you don’t wear work gloves most of the time when you are working with your hands. There is a benefit to having calloused hands, to an extent. I do acknowledge that there are many times when I should be wearing gloves. An injury to your hand, a cut or an abrasion during and SHTF event could be detrimental. Wear gloves during questionable activities to ensure that you don’t get hurt especially when it is critical. I recommend that you have a large stash of the cheap $10 “mechanics” gloves you can get at your local hardware store. I admit that these gloves don’t last very long but they still make it quite easy to work with your hands. Also, have some of the more expensive $20 mechanics gloves that are reinforced for more heavy duty work. 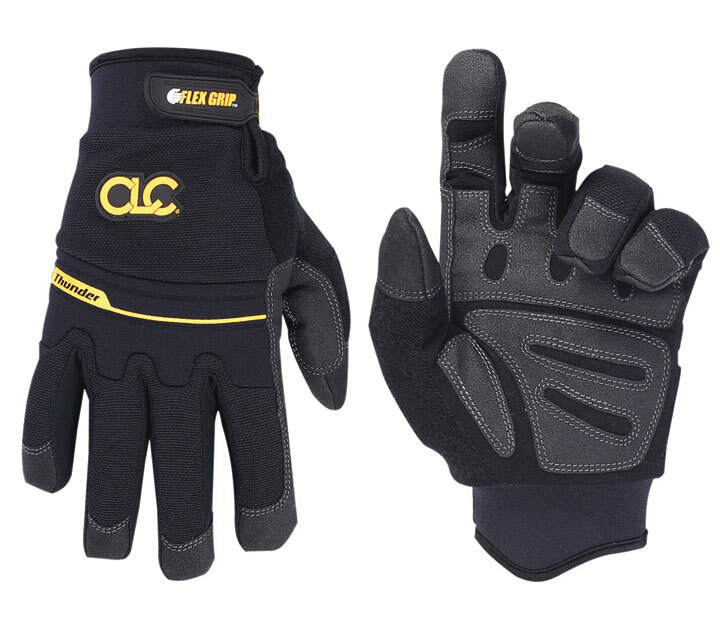 You should have an array of different kinds of gloves for differing activities including gloves for gardening and heavy duty work. There are many different kinds of gloves available including ‘tactical’ and ‘technical’ gloves. Sometimes these can be just the right gloves for the activity, they are super nice but they are EXPENSIVE! It is my experience that the standard mechanics gloves in their various different configurations, work just about as well as any of those really expensive gloves. True, the expensive gloves may last longer but at 3 to 5 times the cost are they worth it? 5. Headlamp. Having your hands free to work while in the dark, whether you are in your home preparing dinner during a power outage, reading a book, or searching for survivors in a collapsed home is needless to say, convenient. My opinion is that the majority of your emergency lighting should be in the form of headlamps. I will say that this is not the case in a tactical situation. When your home has no power it can be difficult and costly to light up an entire room to the same level of light that you are accustomed to. A headlamp that points wherever you look makes for very efficient lighting. Like all of the other gear that I recommend your headlamps should be excellent quality. Spend more than a few buck on your personal headlamps and flashlights. Some of my headlamps and flashlights cost well over $100 but you can buy some good quality headlamps for around $20+. Don’t spend any less and you should probably spend more. A good quality headlamp should have several light settings from very low to very bright. You don’t want to waste battery power on a really bright light setting when you are just reading a book and only need low light. You’ll also want to keep your lights down low if you are trying to stay unnoticed in your home. 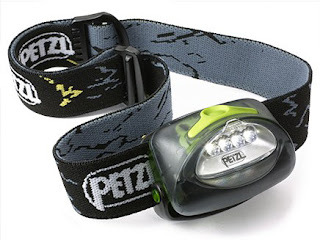 My favorite brand for headlamps is Petzl. There are also other great brands like Princeton Tec and Black Diamond. My favorite brands for flashlights are Olight and Fenix. 7. Music. Life will be hard in a collapse situation. Most of us know that music can take us to a completely different place, provide joy and a feeling of peace. 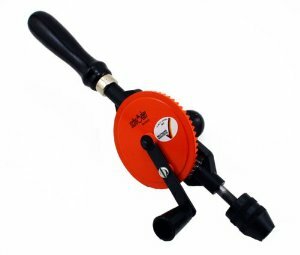 I guarantee that this will be greatly needed in an SHTF situation, especially for kids. Most of us, including our kids, already have smart phones, ipods, mp3/4 players, tablets, etc with music already loaded on them. If you have a way to recharge these devices, and protect them from the plausible EMP, you can bring a bit of normalcy to their lives. A break from the chaos that will be. Pianos, guitars and other instruments will become more and more important as well. Don’t forget to have classic music loaded on your devices too. As to Classical I mean Chopin, Mozart, Rachmaninoff, Brahms, Schubert, Gershwin, the BeeGees, and other good music and audio books. All other music gets old and repetitive but the appreciation for the true classics never fades. If your kids have not heard Gershwin’s classics they truly are missing out, and perhaps it will have the same effect on them as it did on Jack-Jack. Those of you who love the move ‘The Incredible’ as much as I do will understand that reference. Obviously the BeeGees was meant as a joke but you get my drift. Keep this in mind while you are preparing your home and family. 8. Candy. Like music and pens and paper, candy is not an essential survival item. But just add these few items to your basic essential items necessary to sustain life and they can make a tremendous difference. 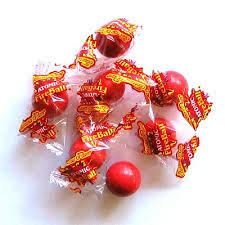 I keep a stash of Atomic Fireballs as my ‘survival’ candy of choice. When I need a little something sweet they always hit the spot for me and I don’t usually ‘need’ more than one a day. Plus nobody else in my home likes them so they are all only for me. 🙂 Find that one candy that works for you, preferably a hard candy that can last for years. Some other suggestions for that survival candy could be root beer barrels, lemon drops or other old fashioned candies such as Horehound. Do you remember the movie “Holes”? Hard work does add to your character and is good for the body. Now think, how many of you, or your kids for that matter, have ever dug a hole… just for the heck of it? I dug a lot of holes in the dirt hills behind my house when I was a kid and loved it, but most of my kids haven’t. My 7 year old recently took his shovel and dug a hole in the flower bed. I wasn’t upset because he said ‘That was kinda fun.’ and I understood and remembered back to my childhood. Before the Atari and Colecovision were even thought of that is what we did. What I am getting at is that things are going to change back to the ‘good ‘ol days’ so you had better start making the changes now. List the power tools that you use most often and then figure out what hand tools you would need to replace them if you didn’t have electricity available to run them. 10. Mentholatum. There are a hundred and one uses for Mentholatum from dry lips to chest congestion. Having some kind of a moisturizer for hands and lip and other dry skin will always be a blessing. 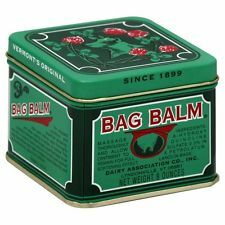 In addition to Mentholatum another one that you may choose is Vermont’s Original Bag Balm. It goes a million miles and can be used on literally everything including cows udders. A little goes a long way, it’s inexpensive and an old fashion remedy. Carmex has been around for decades and works well too. We are not experiencing any issues on our end. Thanks for letting us know.